Now it is time for Arabs to become much more engaged in the Internet’s future. The President of the Internet Corporation for Assigned Names and Numbers (ICANN) says it is time for the Arab world to step up its involvement in determining the future of the Internet. Chehadé made the comments at the conclusion of the Arab Multi-Stakeholder Internet Governance meeting in Dubai. The meeting, hosted by the Telecommunications Regulatory Authority (TRA) of the United Arab Emirates, brought together representatives from several different Internet organizations. There was general agreement at the meeting, that the Domain Name industry needs to be more fully developed in the Arab region. Chehadé said ICANN stands ready to add its support to that effort, but it is dependent on Internet leaders in the region helping the organization map the way forward. 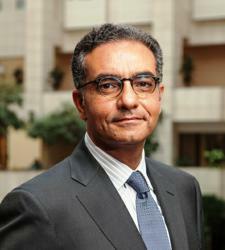 Chehadé has been on a worldwide tour aimed at increasing global participation in ICANN’s multi-stakeholder model. On Thursday he will be hosting African Internet leaders at a meeting in Addis Ababa, Ethiopia.